(a) When opening a door, you push on it perpendicularly with a force of 55.0 N at a distance of 0.850m from the hinges. What torque are you exerting relative to the hinges? (b) Does it matter if you push at the same height as the hinges? b) The vertical position of the force doesn't matter. 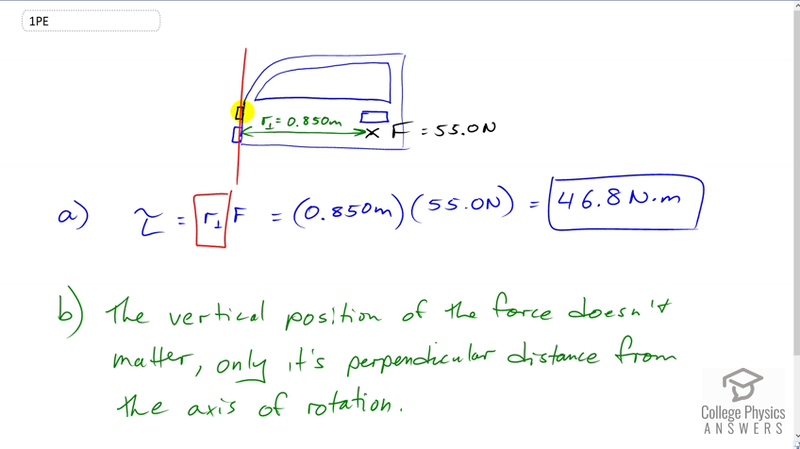 Only the perpendicular distance from the axis of rotation matters, which doesn't change when point of application of the force is moved vertically.